Hello again, crafters! Even though I welcome fall and it’s rainy days (after this horribly hot summer! ), I am not above enjoying some nice late flower blooms that bring color to my day. 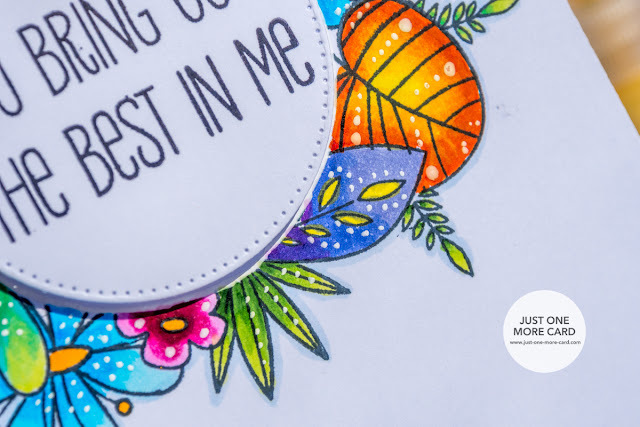 In today’s project, I am using a new stamp set by My Favorite Things – as you might have noticed, I love doodly florals and these are just so much fun. 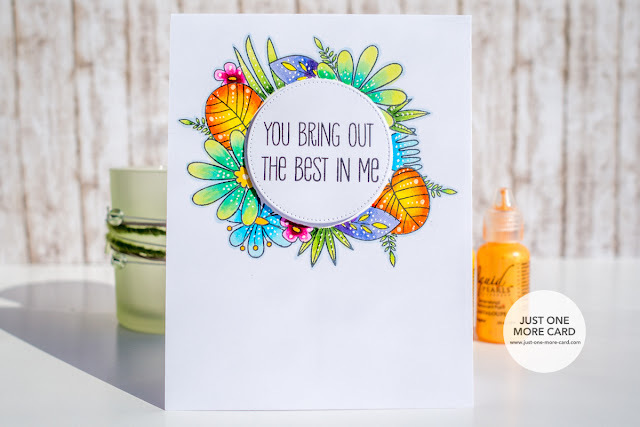 The color choices were already influenced by my yearning for fall – I love coloring fall leaves and the browns and yellows contrast nicely with the other colors. I am currently researching fall colors, so be prepared for some juicy colors on the blog in the the next two months. My original attempt didn’t work perfectly. My mask lifted up in some places and so I didn’t have a pristine border. I tried to fix that with a white gel pen, but since this was a one layer CAS card, it just was visible enough to bother me. And my OCD didn’t let me leave it like that, so I created a die cut circle for the sentiment which helped to cover up parts of the not-so-perfect masking. Thanks for stopping by today - hope you enjoyed the card and the video! Have a fantastic weekend! stunning and LOVE the colors..